Batman v Superman: Dawn of Justice hit theatres this weekend, and love it or hate it, seems like everybody’s talking about it. Whether it’s Vox’s piece on Nineteen Things That Don’t Make Sense coming down on the Hate It side, or articles about the film’s impressive box office returns being used as evidence for Team Love It, everyone has an opinion. And here’s the shocking bit. Are you ready? Love it or hate it, that’s your opinion. You can like what you like, or hate what you hate. It’s not just that you can like what you like, or hate what you hate: my opinion of a work of art (which BvS arguably is) in no way diminishes or counteracts your opinion, even if we disagree. When it comes to matters of taste, we shouldn’t fight. Certainly I’m the last person who can throw stones; one of my favorite movies of all time features two hours of giant robots punching giant monsters, and I’ll happily argue its excellence to you if you have the time and patience for it, but if that’s not your cuppa, that’s cool too. Opinions aren’t objective, no matter how pleasing to our egos it might be to pretend that we ourselves are the Final Arbiters of All Aesthetic Goodness (or whatever your yardstick is). Now, whether or not the thing you like is objectively good or terrible is a separate question, and one people smarter than me have been tackling for many and many a year, and outside the purview of this little blog post–but even if it is terrible (as many folk said about Pacific Rim, and are saying about BvS), it’s still okay to like it. Something in it feeds your soul, or fires your heart, or sparks your imagination. It’s downright cruel to try to take that away from a person. So, guys, let’s not fight about matters of taste. But I was reading a review, and it got me to thinking: the problem with all these “gritty” or “realistic” or what-have-you superhero movie adaptations is that they try to soft-shoe around the original material. “Look,” the filmmakers seem to be saying, “yeah, we know it’s based on a comic book (shudder), but it can still be A Serious Movie.” And they downplay all the elements that actually make the comic book awesome. 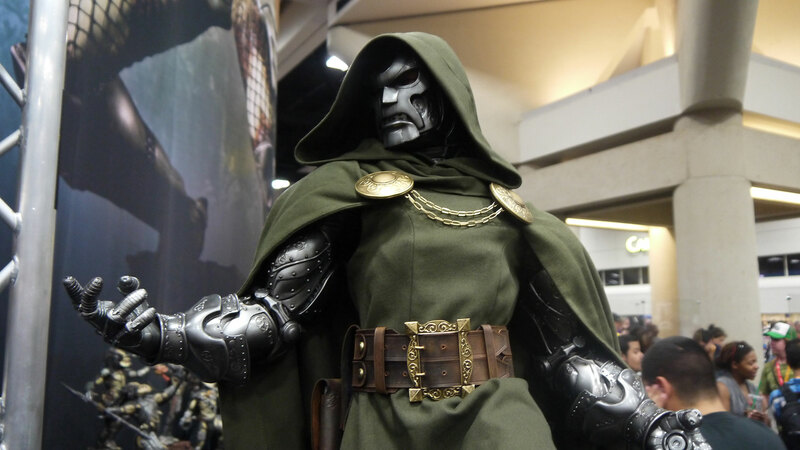 Sideshow Collectibles’ Dr Doom statue–look how cool this guy is! This guy is awesome, right? He’s a super genius ruler of his own small European country, a dictator, a scientist, he talks about himself in the third person, he does not at all care what you think for HE IS DOOM. 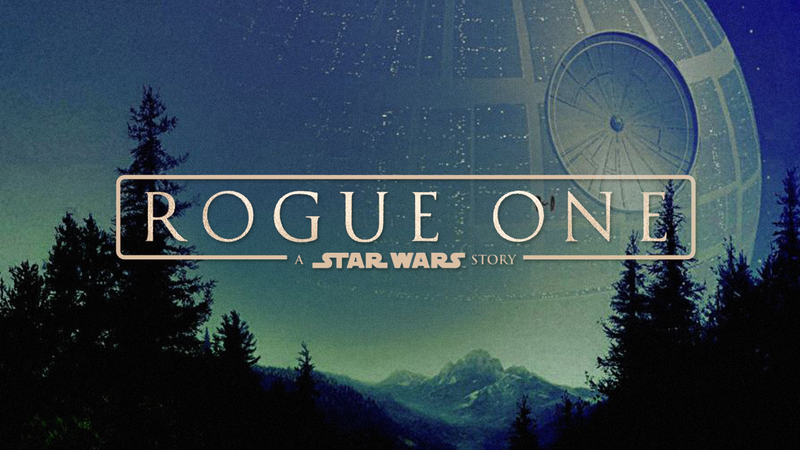 So why the heck would you downplay or straight-up remove all of that from your movie? You think maybe a European genius dictator named VICTOR VON DOOM is too goofy, audiences won’t buy it? Then why the heck are you making a movie with someone named Victor Von Doom in the first place? No, the only way to make a movie, a good movie, with a supervillain named Doctor Doom, is to thoroughly own it. Own your premise. Don’t be ashamed. People who think comic book material is too goofy or low-brow or campy or cheesy or whatever are not going to go see Fantastic Four anyway, I promise. But you have to own it. This is a thing in fantasy and sf publishing, too, this feeling that elves or lasers or time travel or whatever are inherently less serious than, I don’t know, whatever real life things people prefer to elves or lasers or time travel, so we have to downplay those elements, or say “but it’s really a metaphor for cancer!” or something. Why you would prefer real life to elves et al is a question I am not equipped to answer, but some people are embarrassed by fantastic (hehe) elements in their fiction. But you can’t do that. If you’re telling a story about elves, or spaceships, or zombies, or a the ancient, bitter rivalry between the dragon kingdom and the unicorns (I would read that novel), you have got to own your premise, own it to the hilt. Don’t be embarrassed; shout it from the rooftops! Say, YES! MY MOVIE IS ABOUT GIANT ROBOTS PUNCHING MONSTERS IN THE FACE! And if you do that, with passion and verve, you may not have told a serious story (although you can sneak the serious stuff in there, I promise, Pacific Rim forever), the “realism” crowd isn’t going to love it (they weren’t going to anyway, it’s okay), but you will have made something AWESOME. Pacific Rim and Godzilla: Kaiju battle! 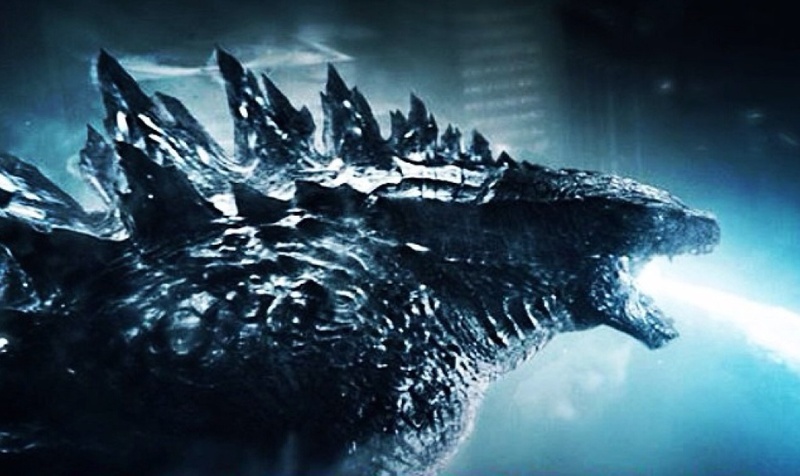 Charlie Hunnam says he feels Pacific Rim sacrified character development for spectacle: but when you decide to focus your big budget kaiju movie on “character development” instead, you get Godzilla, a muddled mess of a monster movie featuring barely any monsters and, despite lots of screen time devoted to humans, barely any characters either. So then there’s Godzilla, which proves (in case there was doubt) that time spent does not equal depth. Godzilla spends loads of time with its characters, especially the military bomb disposal tech played with all the depth and range of a cardboard cutout by Aaron Taylor-Johnson. This is not Taylor-Johnson’s fault, but the material’s. There is simply nothing there for him to work with (and we know, from Avengers: Age of Ultron, that the man can act, if he’s given something to do). The rest of the excellent cast is equally wasted. Me, I would have liked a movie in which Ken Watanabe and Bryan Cranston’s scientist characters teamed up to do something awesome re: Godzilla, King of the Kaiju, but both of these men mostly grimace and scowl and mug, and at the end of the movie we know no more about them than we did at the beginning. The audience learns more about Raleigh Beckett in the first few minutes of Pacific Rim than we learn about … sorry, I can’t remember Aaron Taylor-Johnson’s character’s name … in the entire two-hour run time of Godzilla. I haven’t the time to do a full analysis (nor do you have time to read one, probably! 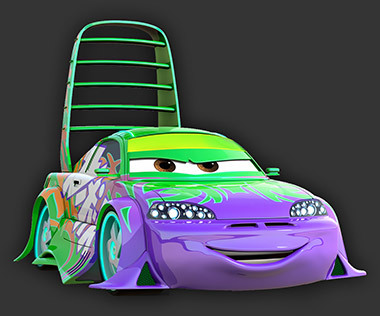 ), but much of this difference comes from the visuals: not only how the character talks, what he says, how he says it, but how he moves, his facial expressions, the lighting and the colors of the surrounding environment, how he is framed in relation to the other characters and to his environment. In a written work, one of course has narration, and can show the character’s inner life through words. In a film, the visuals must do the job instead, with the support of the musical score to give the audience aural cues on what the character is feeling or what aspects of the story the audience should be focusing on right now. The visual language of Godzilla is pretty de rigeur Serious Action Movie these days, down to the predictability of the shots used to try to convey the emotional beats. Compare and contrast with the end of Pacific Rim, which contains characters rejoicing, and gives a sense of the heroism and sacrifice necessary to earn their celebration. In Godzilla, almost no named characters die (and the one who does is so pointless, one wonders why he was in the film at all), and despite loving shots of wrecked cities, one never really feels there was a cost to all the mayhem. With two wordless shots–not of wreckage but of characters–PacRim brings home the feels. Keep an eye on Marshall Hercules Hanson (at about 1:54 if you don’t want to watch the whole thing), whose brave boy did not come back from the final battle. We get two shots: of his son’s bulldog, and then of Herc’s face, and in those two shots, without any words being spoken, we understand Herc’s grief in the midst of the general rejoicing. See how everyone around him is cheering and hugging and smiling? His stillness, contrasting with all the movement around him, underscores the pain he carries, in spite of the victory. Now, I’m not hating on Godzilla; it had a lot of good things going for it. The kaiju looked cool, a lot of the shots were well framed, and it had a heck of a cast. But I do think it proves without a doubt that how much time you spend with your characters is less important than how well you spend it. *I know, one is two years old and the other a year, but still. I hadn’t seen Godzilla until yesterday. 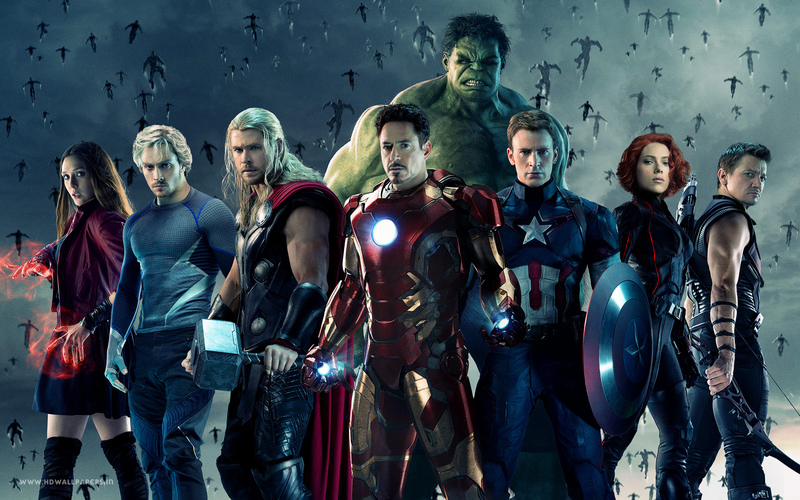 Age of Ultron spoilers ahead! Ye be warned! 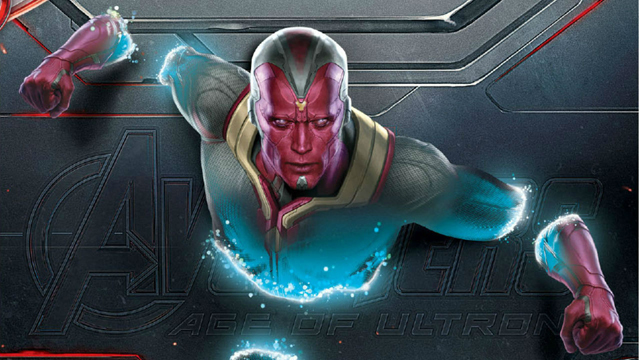 So, in my unsorted Age of Ultron thoughts, you might notice I didn’t say anything about that scene. You know the one. That scene. You know, the scene where Natasha Romanoff comes clean to Bruce Banner, the man she loves, about the horrors done to her in her past, and how because of those she feels unworthy, less than, inhuman–a monster. That moving scene where she told him something about herself she had never confessed to anyone, that scene that broke my heart a little bit because the cold, merciless logic of her tormentor-teacher-brainwashers in taking from a young woman the ability to bear children, to live beyond the mission and live for someone outside herself, was indeed impeccable, and because the person so dreadfully damaged by this wrong done to her is Natasha, whom we’ve (or at least I’ve) grown to love throughout her journey from SHIELD agent to Avenger. You know, that scene. That scene where Scarlett Johannson and Mark Ruffalo gave beautiful, heart-felt performances, bringing more layers of depth and warmth and pain and humanity to their characters. That beautifully lit, beautifully shot scene of quiet horror, the one that in the midst of a superhero movie about punching killer robots in the face nearly brought me to tears of pity and woe. That one. I didn’t realize that scene was not okay, that it wasn’t okay for me to like it and it wasn’t okay for Joss Whedon to have written it. I didn’t realize that a female character expressing sorrow that she was tortured and forcibly sterilized was no longer okay, because … feminism? I’m really confused. Why is it not okay? It’s okay. It’s okay for a woman to want children. That’s not anti-feminist. It’s okay for a woman to have children. Still not anti-feminist. It is definitely okay for a woman to be sad that she can’t have children. It is especially okay for a woman to be sad that she can’t have children if she was forcibly sterilized. 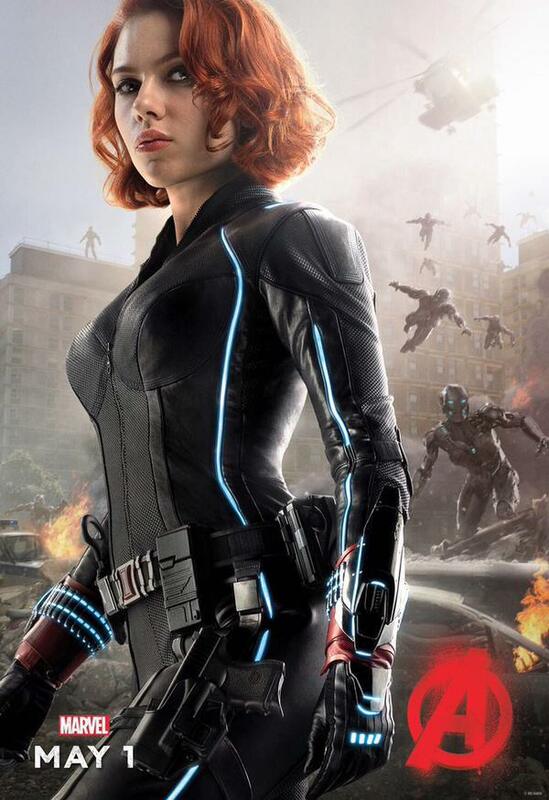 Guys, gals, advanced artificial intelligences, extragalactic visitors, it is even okay for a woman to be sad about all of the above if she is Natasha Romanoff, the Black Widow, super spy par excellence. You know what’s not okay? Dumping internet hatred on the writer who gave his female character these feelings, this background, this motivation. If you must hate, and be outraged, and vilify someone, try the people in the real world who do torture young women, for real, mutilating them and destroying forever their chance at motherhood. Hate those guys. And don’t just hate. Do something. Because this world doesn’t have a Tony Stark to blow the bad guys up, or a Captain America to whack them with a shield, or a Thor to smite them with righteous lightnings, or even a Natasha Romanoff to scissor-kick them and flip them upside down while the frame goes all sideways. It’s up to us. We’re the only heroes we’ve got.